The Integrator… our solution for easy installation in mortared walls. Preinstall our Stainless Steel insert and eliminate the headaches associated with mortared lighting applications. We supply the necessary fasteners and a flexible conduit for an easy connection behind your wall. Our insert maintains alignment and keeps the fixture level for final installation. 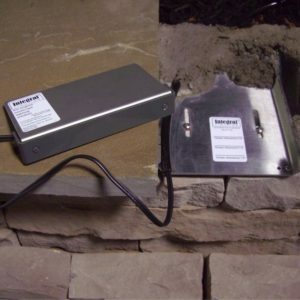 The Integrator comes in 3 different sizes for our fixtures and is designed for a 1/2″ mortar bed. The fixture inserts easily after mortared caps are installed and can be easily removed later for cleaning, maintenance or replacement. 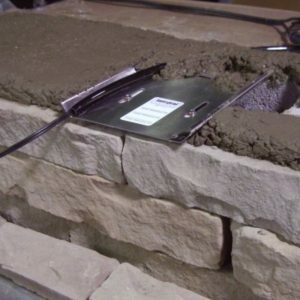 Perfect with brick, bluestone, stucco, cap stones, travertine, precast concrete and more.